Going back home, the bride’s happy face flashed in her mind… reminding her of the days she was weaving the sari…. with utmost love & care, to be passed on to its wearer. In the tradition it is believed for the bride to wear one sacred sari during the occasion. Koorai Pattu Pudavai, a sari for the lasting journey of marriages worn by women folk of a few casts of Hindu Community of Tamil Nadu & is considered more auspicious for the green and yellow colors in it. The green relates to the trees and Pasumai, which is Tamil means greener and yellow is for Mangalyam. 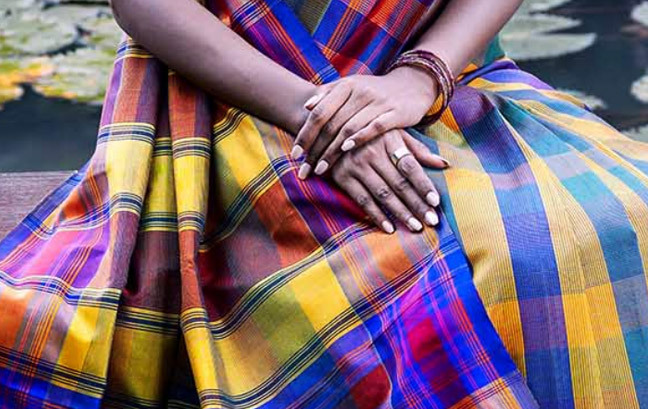 These nine yard saris are made out of plain cotton as well as cotton &silk and generally have checks or striped patterns, with contrasting border in yellow. The Koorainadu saris with wide borders are called temple saris, because they are woven and then offered to a temple deities. 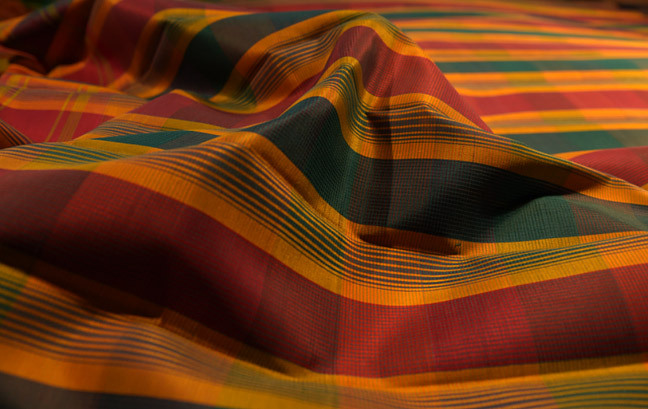 A peculiar characteristic of this sari is the formation of cotton checks by the interlacing of warp and weft during weaving and this can be woven only by an experienced weaver. 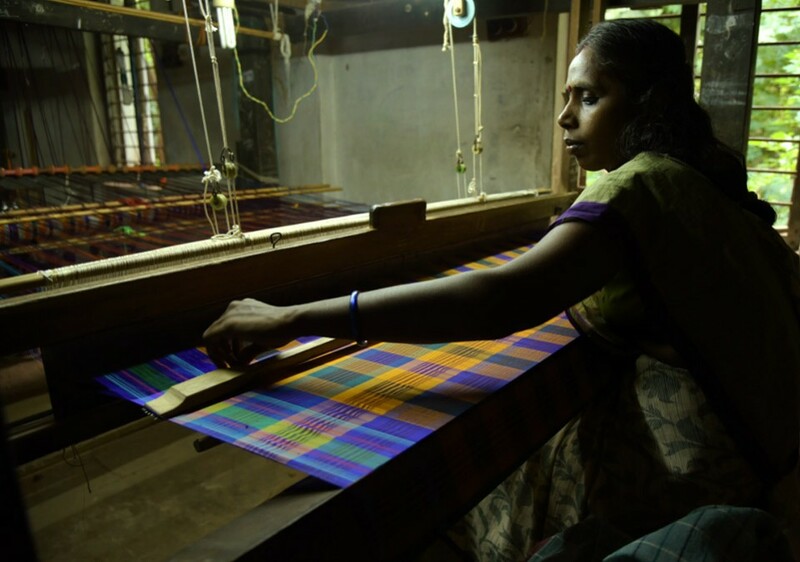 Koorainadu silk saris are produced in Koorainadu, a traditional handloom weaving center near Mayiladudharai. These saris are produced in the quality of pure silk and fine twisted mercerized cotton yarn, in both wrap and weft ways in the ratio of 2:1, giving them a silk saris look.It is light weight due to the presence of silk to the extent of almost 2/3rd of the sari woven in small checked patterns & seer Pallu looking like silk sari rather than cotton, making it unique. 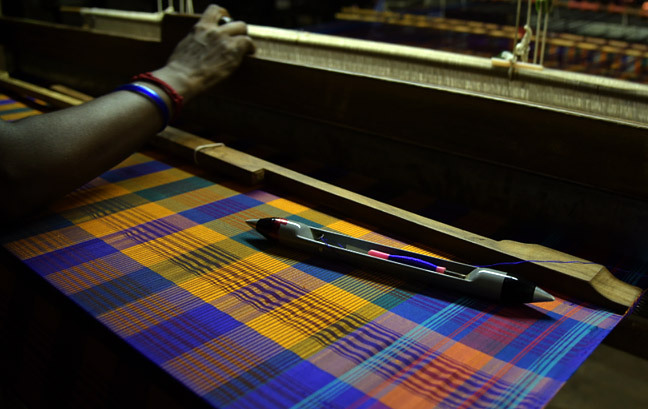 Since the saris consist of only checks and stripes, plain looms are used. 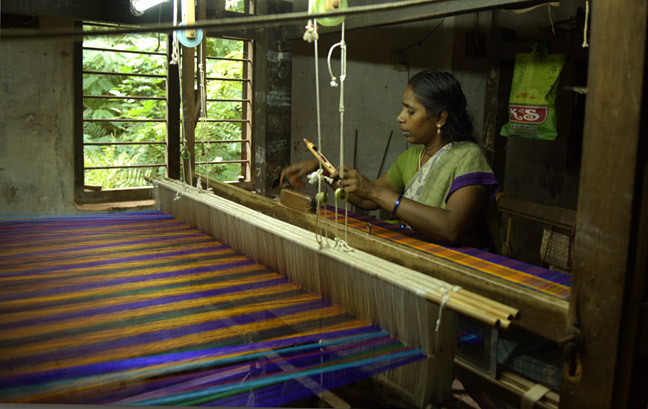 Weavers take approximately ten days to make one sari. Nowadays, the saris are available in multiple colors like Arraku for maroon, maal- Yellow, pachai- Green, karuppu- Black &Sigappu-Red. These are made out of finer count, that is, 40s, 60s and 80s count of cotton and finer count of silk as well. The dye used for silk is synthetic dyes. 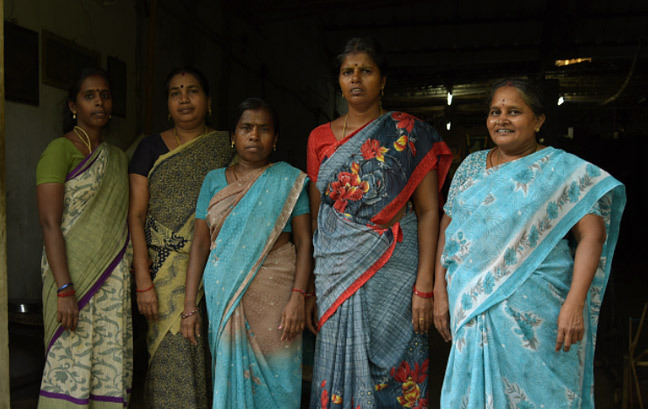 A part of Mayavaram (Thanjavur District) is today known as Keranad, a word derived from Koorainadu, which means the land of textiles…or a place where cloth is manufactured…most of the weavers involved in sari weaving are Sāliyan weavers. They claim to have a Purānam relating to their origin, which is said to be found in the Sthalapurānam of the Nallādai temple. They believe that they are the descendants of one SāliyaMahā Rishi, a low-caste man, who did service for one Visākar, who was doing penance near Nallādai. Through the grace of the rishi Visākar, Sāliya became a rishi and married two wives. The Sāliyans are said to be descended from the offspring of the first wife and the MottaiSāliyans from the offspring of the second. 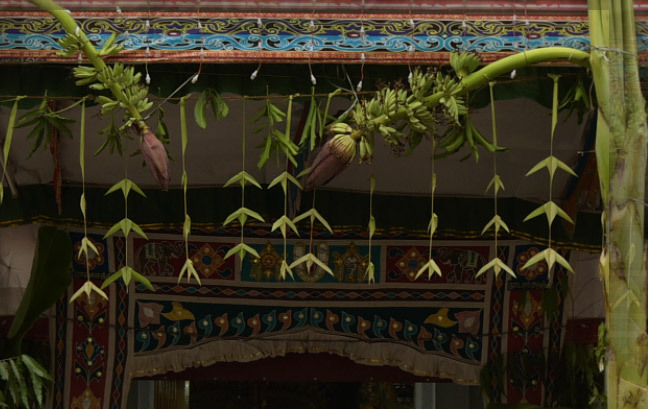 In former days, the Sāliyans were not allowed to sell their goods except in a fixed spot called māmaraththumēdu, where they would set out their fabrics on bamboo sticks. High-caste people never touched the cloth, except with a stick. At the present day, the Sāliyans occupy a good position in the social scale. Engrossed in her thoughts, the weaver reaches home &a long silence from the muted looms greets her. In old times this place was brimming with thousands of weavers & now only 20- 30 are left. 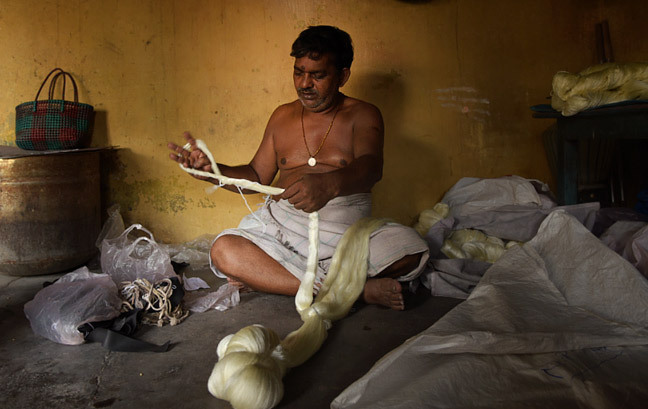 The entire village used to be buzzing with weavers weaving saris & now there are none. 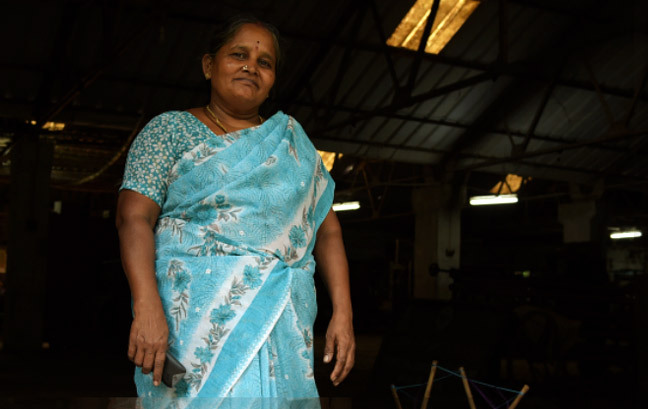 She wonders to herself “Sari, which is a part of most auspicious occasion is seeing such gloomy days.” But then see looks at the very few weavers left in her community still weaving with hope. Putting all their efforts in the sari to make someone’s day special, someone’s marriage prosperous, someone’s face lit…. the bride’s face from the morning flashes in her mind yet again & she sits back on her loom, her fingers pouring happiness in lives… near and far.